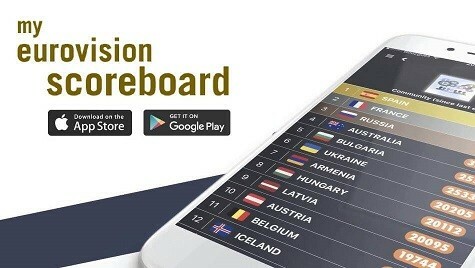 Every morning between now and the grand final in May, the team from wiwibloggs will be rounding up the latest titbits from the world of Eurovision 2019. We’ve trawled through Instagram, Twitter and elsewhere so that y’all don’t have to. Whether you’re on the morning commute, sitting on the school bus or still tucked under the covers, this is the Daily Digest for Thursday 21 March. Hey people! How was your day? ?We spent our day in the studio, recording something exciting for you…?? Most songs from the class of 2019 are available to stream and download on all the major music platforms. However, there remain a stubborn few who have yet to pop up on Spotify and the likes. For those of you keeping track, Germany’s S!sters have confirmed that their song will get its international release this Friday. Meanwhile, Ireland’s Sarah McTernan is not releasing “22” on 22 March, but rather on 5 April. Additional contributions from William, Robyn, Jacintha and Jonathan. Are you excited for the “Spirit In The Sky” music video? Will you be entering ZENA’s competition? Let us know in the comments. Who is doing the Greek staging? I knew that Katerine will rise up and be liked even more by many. Her song is already good to begin with. No I was very sober when writing this. didn’t eliot hit 7 figures? Just goes to show that the NL already bought the jury. Go on tell us a little more about Amsterdam2020. You see on the picture above, Duncan already met an expert of it. Amsterdam 2020, free weed for everyone !! Sadly not free, but avaiable haha! We got Weed brownies, stroopwafels, cake, drinks, whatever. Just don’t underestimate it please.. Its strong stuff and it WILL change your day. For one moment I fought Keiino singer was Zena lol. It all depends. Sweden will throw points their way if they have a strong enough bop. They’ve even given them top marks twice (granted, both times were for Helena Paprizou, who’s half-Swedish). But the jury’s (usually, mostly) not as biased by geography or diaspora as the televote. Ireland and Belarus aren’t anywhere near Cyprus, Portugal’s got almost nothing to do with Estonia, and Ukraine’s not that tight with France, but they liked their songs the best. Greece and Sweden are in different SFs. Even when Greece and Cyprus get in the final, Sweden’s 12 will go to Cyprus like last year. Same production team and creative director/choreographer. Last year Cyprus even had Swedish dancers. Everyone was Swedish except for the artist. Way too obvious. Last year Sweden were way too biased towards Cyprus. Doesn’t explain other years where Sweden’s 12 went elsewhere. Portugal got their 12 in 2017, after all, and that had diddly to do with Swedish involvement. The Baltics are interesting cuz they’ll either vote for their neighbors or they’ll vote totally randomly. Their vote never really swings toward the Mediterranean, though. Can’t tell if it’s a cultural thing or whatnot, but they’re also slow to vote for anything Balkan or Mediterranean (save for France, sometimes Italy). Estonia was the only country that didn’t give Israel anything in either its jury or televote last year. (Then again, they also gave Cyprus a very good mark, so I don’t know). It’s called prejudice, trust me. Many of people from Visegrad or Baltics consider southern europeans lower class people. Have experienced it to my bone. Funny thing is how people still keep on blaming Romania-Moldova and Greece-Cyprus, while their block voting is extremely ineffective, compared to the USSR one. Guys ALERT Greece’s odds are shortening like crazy… I heard something leaked about what she will be doing on stage… is that true? What did you hear about her staging? She will sing on stage. What a leak. It has just to do with the live teasing on Instagram. Just imagine when the bookies will hear Michela’s first live. Goodbye Top 5 for Sweden or Italy. I watched Michaela’s performances also and i was really NOt impressed at all..
Greece will never say yes to winning as they don’t have the funds to host. They will simply come top 5 in the Grand Final. Shame because this song is much better than the whiny Dutch one. For some reason, the last day the odds of Greece going down ….well done Greece! And we found the best vocals of the year from Greece. Hopefully she will get a top10. Wait until you hear Malta live. Nevena Bozovic from Serbia released new version of her song ‘Kruna’, it is improved when it comes to instrumentation..
the king and the queen of the netherlands also think duncan is great. Watch out Duncen. you can be Franccesco, you can be Netta. I think it’s so cool when a leading politician of a country that is not prone to politicize the contest takes notice of their entry, that’s a great sign. Very much on the contrary to two previous recent winners. Netanyahu definitely wasn’t paying attention to Netta until she won (thank goodness). It’s funny that Bibi was also the leader of Israel when they won back in 1998…how did he react then? Does someone knows the exact reason why Malta has cancelled their appearance at the London preparty ? Scheduling issues ? What’s more important than promoting your song ??? Performing it well when it actually counts. These preparties are more like a “fan event”, they have no impact on the final results. Oh Gosh!Katerine Duska what a voice!I see really big things coming for Greece!Great singer! In that video on her Instagram, Zena didn’t say anything about the music video, she said she will post the winner’s video on her Instagram profile, that’s all. Love the idea of daily digests! Daily digest is a very good idea and I enjoyed reading it and watching especially Katerine Duska. Can you pleaseasease stop calling my country the Netherlands, Holland???? Hooland is just divided in 2 provinces there are 10 more! In some languages, the name of the Netherlands defaults to “Holland”. In my country, it’s “Olanda” and its people “Olandes” for the Philippines, taken from its original Spanish name although Spanish has since switched to “Paises Bajos”. Calling your country “Mga Mabababang Bansa” in my native language sounds weird and unappealing to the ear. Come on, I didn’t grow up in ‘Holland’ either but the fact is nobody cares if you call the whole country by that name. Unless you’re really petty. Oh pls.. everywhere in The Netherlands the Dutch call their country Holland. And everybody knows that when u say Holland.. you’re talking about the whole country. You’re the first person in my life to make a big deal out of this, ever. Dont worry, in Russia, many people think that Amsterdam is a country :). Or we dont know where it is. I notice that there are lots of Dutch people who would react the same thing you do when non-Dutch call your country as Holland. Very understandable yet funny at the same time. You have to be the most annoying Dutchman on the internet. Congratulations. You should have a look at escforum and read what the people there think of him. You were really born in 1991? Because you act like a pre-teen. And don’t lie. You alone made the Dutch thread on escforum unbearable to read. I’d let the Dutch prime minister back me! I had forgotten about the Moscow pre-party. But it will take place too late on 24 April. Very few days in between parties but not all will be attended by all countries. If I were an artist I would love to go to Riga and Moscow (the pre-parties with least attendance). Somehow London, Tel Aviv, Madrid and Amsterdam seem more attractive? How does it work? Do all countries receive an invitation and they decide based on how interesting the country is, their budget? Nice, though I’m still wondering how is the snow falling from the cloudless sky (Romania). I’m wondering whether there’ll be an artist or two going scuba diving and then dancing LOL!